First up we have the iconic Balmoral Classic Wellington. 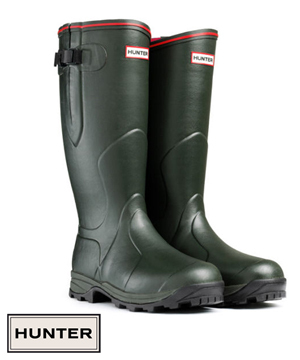 This boot is a part of the Hunter Sporting Collection, which is a range that has been specifically designed for outdoor activities such as shooting and beating. With their high performance waterproof qualities these wellies will protect against all kinds of weather (so come rain or snow you will have comfortably dry feet!). Designed with substantially thick soles to provide additional support and to reduce the harsh impact of rough terrain. This wellington also comes with multi-layer cushioned removable insoles to provide the wearer with the best possible fit. 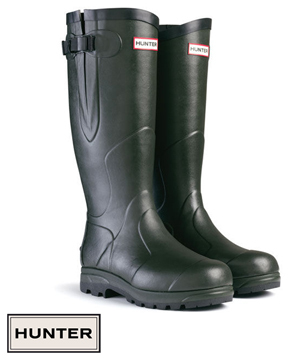 Next up we have the extremely comfortable Balmoral 3mm Neoprene Wellington. This lightweight boot will keep your little piggies warm during the chilly months of the year thanks to their particularly cosy thermal lining. The closed cell neoprene inner will not only keep both of your feet warm, it will also keep your calves snug too. These boots are perfect to wear on idyllic country walks, when out in the field or around the farm due to their shock absorbing heel pads, which will protect your feet from the coarsest of terrains. This pair of wellington boots comes with 2 sets of insoles; one is 3 mm thick and the other 6 mm thick. 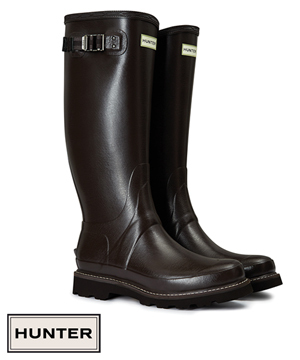 This wellington also comes in a zipped style for those who have slightly bigger calves. The elegant Ladies Balmoral Neoprene boot is highly stylish yet highly practical. This shapely wellington has been designed to fit comfortably around the curves of a woman’s calf and slimmer ankles, so that she is provided with best possible support that a Hunter welly can offer. The ladies Balmoral boot has been designed with beautiful purple trimmings and inner neoprene lining to give the boot that extra little touch of femininity. The fitted gusset will allow the wearer to adjust the tightness of the upper welly so that they can get the best possible fit. Removable 3 mm insoles are included with this particular wellington. 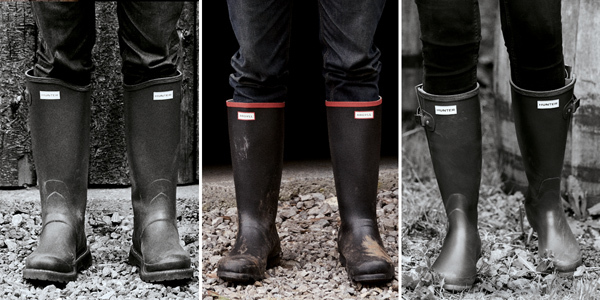 Introducing the tremendously comfortable, handcrafted Balmoral II Wellington. 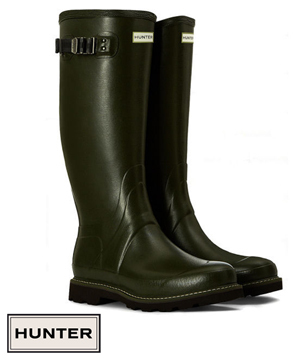 This particular wellington is a part of the new Hunter Field collection that consists of technologically advanced wellington boots that have been designed specifically to protect you against all kinds of weather. The lightweight Balmoral II has been specifically customised with commando cleats on the soles to offer terrific grip on the roughest of terrains, perfect for leisurely and callous walks. The Balmoral II boots come with a pick of 3 mm and 5 mm moulded insoles. Last but by no means least, we present to you the waterproof, leather lined, Balmoral Sovereign Wellington; the ultimate outdoor boot! This highly advanced boot has undergone transformation for 2015 and has come out the other side with brand spanking new Newflex Vibram® soles and fitted commando cleats. The exceptionally brilliant shock absorbing Newflex Vibram® soles are extremely lightweight and flexible, perfect for when you’re traipsing about on your feet all day. The Sovereign II’s come with 3 mm and 5 mm insoles to provide the wearer with ultimate comfort and fit. hunter, Hunter Balmoral Boots, Hunter Balmoral II Wellington, Hunter Balmoral Neoprene 3mm Wellington, Hunter Balmoral Sovereigh II Wellington, Hunter Classic Unisex Boot, Hunter Ladies Neoprene Wellington, Neoprene, wellington boots. Bookmark.